Beogram 1500 combined ease of operation and advanced technology in a simple, straightforward way. All its operations were controlled via a single button. Another advantage of this totally integrated design was its immunity to external shock and vibrations. The electronic servo drive system ensured correct turntable speed at all times. The low-mass arm had built-in bias compensation, and the MMC 20S pickup tracked at only 1,5 grams. 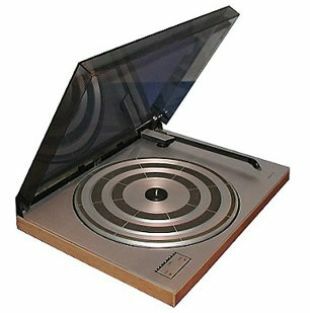 The unique pendulum spring suspension helped make the Beogram range of record players immune to the external shock and vibrations which would cause most other record decks to mistrack and damage the record groove. Beogram 1500 could be made up as part of the Beosystem 1500, when linked together with other compatible Bang & Olufsen products. This deck was the basic model of its time but the inherent design of this deck meant that the performance was extremely similar to the top of the range radial decks. Very easy to set up and simple to use, a true bargain buy in later years.